Over 300 events per year. DJ Miles was awesome!!!! I can't even begin to say enough on how great of a job he did. He really made our wedding so memorable, fun and action packed to the highest degree. I still smile anytime I think about how great of a time we had. Serving as our emcee, he was very smooth and effortless in his delivery and really helped to keep our sequence of events flowing from one thing to the next. He always kept our guests informed and no one was ever in the dark of what was going on. THEN came the actual dance and let me just say WOW! He really did keep the dance floor packed the ENTIRE night. This is something I read over and over again in his reviews and I can fully attest that this is 110% true. Even before the wedding, my other wedding vendors kept talking about how good DJ Miles was. He played music for everyone and really tapped into what we had asked for. When we met with him to review our musical selections before the wedding, he provided really helpful feedback to make sure that our party was organized as best as it could be and to make sure everything went off without a hitch. He really is an expert at what he does and my main recommendation is to put all of your trust in this man and let him "do his thing!" He will make sure that your party is everything you could ask for and more! One of the things I really liked about his style is that he does in fact mix live, meaning the transitions between songs are smooth and Never abrupt. He was mixing Pitbull with Salsa music and created really awesome and unique beats that you wouldn't get anywhere else. He dropped the bass where it needed to be dropped and played those slow songs and line dances in all the right places. I don't care what your musical style is, Just let Miles know and he will deliver a musical smorgasbord that you cannot get enough of. OH, and did I mention that it was his recommendation to turn off all the lights, and pull out the glow sticks to turn our wedding into a dance club that got everyone jumping around on the dance floor. It was one of the most awesome moments I have experienced at any wedding and was just glad it happened to be mine. He even got the wait staff out on the dance floor at the end of the night, which is something I will never forget. Again, I wish I could say more to speak of how highly I would recommend Miles to anyone. If you have anyone who has any questions, please feel free to provide our contact information and We will be happy to provide a recommendation :) I only wish I could get a CD of his mixes from our wedding for our own personal "wedding soundtrack"
Miles, Thanks for helping us throw the biggest and most awesome party of our lives! It is something we will never forget and are really grateful that you were able to be a part of it. Hopefully we can work together again soon! My name is Cheryl and I just had my wedding on August 3rd. We had Brad as our DJ and he was awesome. He kept everyone on the dance floor and was great with requests. I had many guests tell me how great he was as well. He did an amazing a job and we can't thank him and Texas Pro DJ's enough. You guys are great and I will definitely recommend you to anyone looking for an awesome DJ. Thank you again! "Brad was warm, gracious and helpful from the first phone call. I don't know how the decision was made to have Brad dj, but he couldn't have done a better job. He was so pleasant and patient, happy to accommodate my many and (a few) unusual requests, and seemed genuinely interested in having the music draw people in for dancin' and singin'. He was warm and friendly to all the guests, as well as my nephew and his buddies, who thought he was "beast." Several people commented on how much they enjoyed his contribution to the festivities. How are you man? I got to say that was a great party and you're the reason why. Every one I have spoken too after the wedding said that was one of the best weddings they had attended. Hortencia and I really appreciate you, your professionalism and your talent to throw one hell of a party. I will be posting a review on your website soon enough. Been enjoying our honeymoon. I think I want you to DJ my birthdays from now on...incredible. Ain't no party like a Miles playing Prince mix party! Thanks again. Take it easy. DJ Andrew was amazing! I couldn't ask for anything more from him. I CC'd him on this email but make sure he knows that everyone at the wedding kept talking about how great of a job he did. Please share our thanks with him. "That DJ is awesome. I want to like hang out with him and be his friend." Thank you! We had a wonderful time Saturday night and Miles was amazing. Everyone had a wonderful time and several people have already asked me for your number. They were particularly impressed with how he balanced the adults and the kids, being able to get everyone participating and out on the dance floor. I had meant to write to you right away but I got caught up with out-of-town family. We will definitely write a yelp review, but I will wait for my husband to finish his business trip because he is much more of a writer than I am. Just wanted to send a big THANK YOU for being such an awesome DJ at our wedding. You kept everyone dancing and having a good time. I don't think I ever saw the dance floor empty. The songs you picked and the way you mixed were genius! So, thanks again! You were great! We absolutely loved it! Just a note to say thanks for a fantastic party! Our wedding and reception were perfect--Brad did a great job as DJ and MC. A lot of the guests came up to me and said things like, "Wow! You guys got a real DJ!" Yes! Yes we did! I'm so glad Kurt found you guys. It was every bit as exciting, special, and fun as I had hoped and having Brad there was a huge part of what made it so great. Great job, guys! Steve and I wanted to thank you again for making our wedding reception AWESOME, it was even better than we could have ever imagined and the dance floor was packed the entire night thanks to you. 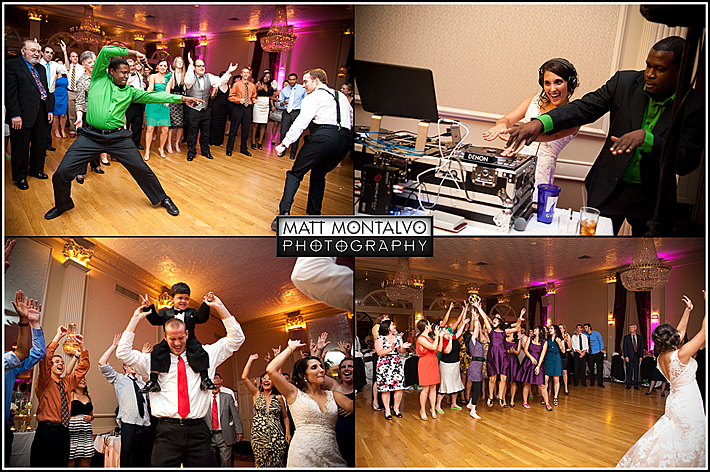 We appreciated your professionalism, our guests said you were the best DJ they had ever seen at a wedding and we agree! We will definitely recommend you to anyone looking for a DJ, thanks again. We used Brad from Texas Pro DJ for our wedding on June 23, 2012. He did a wonderful job! He took all of my requests I set up beforehand, and talked to me by phone the week of the event to clarify any last-minute details with the timeline. He was able to find all the music we requested ahead of time, and did a wonderful job during the event. He was very professional, and DJ'ed a great party. Everyone said it was the best reception they had ever been to, and almost everyone was on the dance floor and stayed the whole night, dancing. He did a great job picking music for all ages. We had toddlers to my 89-year-old grandmother dancing in a wheelchair! We did not have many songs listed that we wanted (maybe 5 or so, other than the required first dance, etc., and we didn't have requests for even some of the classic wedding songs, like the last dance and the garter toss, but I trusted Brad to pick good ones, and they couldn't have been more perfect! Brad was an awesome DJ! He set up music for our ceremony, cocktail hour and reception. We gave him an extensive list of songs we wanted played at our wedding. He did an awesome job playing from our list, and choosing other songs, and perfectly set the tone for each part of our wedding. When it came time to dance, the music was so good that the floor was never empty! Furthermore, the whole staff was professional and took their time to work with us on our timeline. I would highly recommend Brad and Texas Pro DJs! 5 Stars for Miles and Texas Pro DJ! We planned our wedding from afar - living in California and planning a wedding in Austin, TX can be daunting... we interviewed our DJ's over the phone and though we liked the other two we spoke with, Miles was a clear winner..Then we met him and considered moving to Austin just so we could hang out again ;-). He is personable, fun and amazing at his job. His Dub Academy studio is awesome and worth checking out and his office next door is comfortable, classy and he is always the gracious host. We felt like he really listened to what we wanted yet provided important input and suggestions...in fact the more we spoke with him the LESS say we wanted to have in our music. We knew he understood the vibe we were going for at each event in our wedding and were confident he would create the right mood - we were exactly right! He provided the music and sound for our wedding (outside in a rose garden), the cocktail hour (under a pecan tree), dinner and reception indoors... at every point the music was perfect and at every point the music was completely different - which is exactly what we were going for. He even found the PERFECT mother/son song for my fiance. We had a timeline set up but of course things changed as the night went along - Miles got the guests where they were supposed to and kept things moving along smoothly. His presence on the mic is the perfect blend of a commanding and pleasant voice, good humor yet never overbearing. Miles is true DJ mixing and blending the songs as he goes to keep the dance floor hoppin' all night long... our remaining guests danced until their shirts were drenched and still felt like it ended too soon. 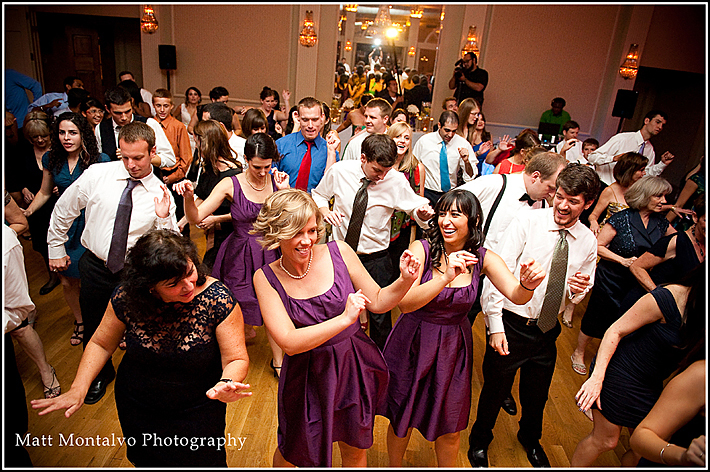 There is no better compliment than, "that is the most fun I've ever had at a wedding" and we heard it over and over... not to mention my 18 year old cousins and 60 year old aunts and uncles ALL made a point of saying they loved the DJ! Anyone that can figure out how to appeal to a crowd that diverse has true talent. I honestly feel there is no one better than Miles and Texas Pro DJ... Thanks Miles! 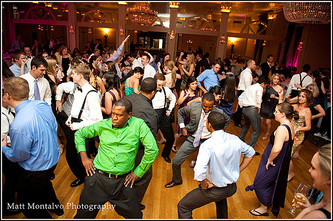 I am so happy that we used Texas Pro DJ for our wedding reception. Miles and Emily are fantastic! I contacted them three weeks before my wedding and they worked with me to get it organized in that short time. I could not have asked for a better DJ. DJ Rich had people on the dance floor the entire time with an incredible mix of our "must haves" from cumbias to reggae to Depeche Mode, all on old school Turn Tables! Come On! Incredible! I am still getting compliments about him and my reception coordinator made it a point to tell me how organized and professional the company was working with her. I can not thank them enough for being such an important part of making our reception so wonderful! Texas Pro DJ did a fantastic job recently at my daughter's wedding! I can't say enough about Miles! We knew from our first meeting in his studio that he was the DJ for us! He explained how he works, played some sample music and really took time to hear what the bride and groom wanted. He definitely delivered! He made the evening a huge success! Miles even travelled to Waco for the event. He and his staff arrived on time and had the sound set up for both the ceremony and reception. The sound for the ceremony was nice and clear, particularly for an outdoor wedding. As soon as the ceremony ended, he began music for the cocktail hour while the photos took place. He then made the reception a real party! He played all the music from our playlist, as well as a great assortment of music for all age groups. His transition between songs was so unique and fun. People couldn't wait to hear what song was coming next! The dance floor was always packed and everyone said what a great party it was!! Not only did Miles keep the event running smoothly and according to the timeline, but was flexible to any changes in the evening, as well. He was a true professional and so nice to work with. I highly recommend him! Miles did our wedding and we had the most amazing time! Not only was he completely professional but he kept our dance floor bumping for 5 hours straight. He took in and played all of our requests and totally executed the vibe and feel of the whole wedding and reception that we wanted. My favorite part was watching how much passion and love he has for DJ'ing and being a part of these special events. 5 starts from us!!!! I've never written a review before, but these guys were so good I had to. Anthony from Texas Pro DJ was the one running the show for our Cinco de Mayo wedding and he absolutely killed it. It was the most epic dance party ever. Everyone was out on the floor going wild. I've never hired a DJ before, but if I ever have to again I'm going straight to these guys. They're so fun and entertaining. Anthony was cracking jokes, dancing with us, and spinning some of the craziest mixes. Stop searching and hire these dudes! My husband and I got married last October and were referred to Texas Pro DJ (specifically Miles) by our venue, The Wild Onion Ranch. It was the BEST referral ever!!! I, the bride, ended up taking an intro DJ class at Dub Academy and had a blast. We absolutely fell in love with Miles, our DJ, but everyone at Texas Pro DJ was great to work with. I could not sing enough praises about the dance party Miles made happen at our wedding. We gave him a general idea of the music we wanted played and let him take it from there. Everyone had so much fun, and we had a lot of jealous brides that wished they had booked Texas Pro DJ. Miles also helped me to create a one-of-a-kind 70s mix for my dad and I's father/daughter dance. You must know that my dad is the shy, quiet, engineer type but this mix that Miles put together had my dad dancing his little heart out and shocked many of our family members who had never seen this side of my dad!! :) It was such a great memory! Miles worked with us every step of the way and helped out wherever he could to make our lives' easier. Miles and TPD were very professional but also knew how to make the day the party of a lifetime. In fact, after the longest drought in Texas history last year, as luck would have it, it decided to rain ONE day in 2011 and that was on our wedding day!!!! Despite the weather Miles was fully prepared and everything went off without a hitch even though the ceremony was still held outdoors. As I said in the beginning, I cannot say enough good things about Texas Pro DJ. Even though we're a little partial to Miles, I can honestly say that you cannot go wrong with any of the guys at TPD. They were all a part of the DJ classes that I took, and I have complete confidence they take great care of all their brides as well. Happy planning to all you brides-to-be. 5 Stars for Miles and Texas Pro DJ! We planned our wedding from afar - living in California and planning a wedding in Austin, TX can be daunting... we interviewed our DJ's over the phone and though we liked the other two we spoke with, Miles was a clear winner...Then we met him and considered moving to Austin just so we could hang out again ;-). He is personable, fun and amazing at his job. His Dub Academy studio is awesome and worth checking out. His office next door is comfortable, classy and he is always the gracious host. From the Conde Family to each of you, we want to send you a very special THANK YOU, for helping to create such a beautiful wedding for our baby girl Jessica and son-in-law James! We could not have asked for a better team! Everyone was so wonderful to work with and so incredible with what you did! From the teary and personal service, the great music at the ceremony to the dance floor, the beautiful venue, the stunning flowers, the yummy food, the grand and gorgeous cake, and the super fun photo booth, just everything was AMAZING!!! We cannot wait to see the photos! I am sure each of you would love to see them as well! As soon as we get them from the Peary Team, we will send them over for you to share within your portfolios! Again, just many thanks from us to you, you helped my visions just come right through magically!! It's one thing to plan an event for someone else, but it is something different to plan if for your only daughter and you all made my job so much easier!! There just isn't enough I can say about what each of you did for us! Super relaxed, and professional at the same time, played some really fun music. Tastefully skipped some of the guest's requests. Nicely done. We had the absolute best time, truly fantastic. Miles is an amazing man with and amazing personality. I heard wonderful compliments about him. Everyone said the music transitions were amazing and that they didn't want to sit down because he did such an amazing job. What I liked best about TexasProDJ was they didn't play the whole song...just the best parts of every song!! Everything went so smoothly, he ran the show perfectly! We had a fabulous time and a lot of that was due to the music and DJ! Myles was fantastic! Thank you! After attending another wedding this past weekend, I really realized how great of a DJ Myles was. The other wedding put us through the chicken dance, electric slide and various other awful songs. At my wedding the music flowed so perfectly that every guest young and old enjoyed dancing. Best DJ I have seen at a wedding and I'm so glad it was mine! Local - Austin - Pretty much all around: Fly. I felt like I was working with a MAN instead of a BUSINESS. Much respect.